There is no doubt that a lifestyle of drugs and alcohol is not a healthy one. Once a patient reaches the point of needing treatment, it’s a good bet that they have almost always abandoned any type of healthy lifestyle. During treatment and early recovery, it is important that patients redirect their behaviors into healthy avenues rather than those that are unhealthy or detrimental. Exercise is one outlet that has many benefits for someone just getting sober and beginning their journey of recovery. For Doug Bopst, fitness and exercise saved his life. Today Doug is a Certified Personal Trainer and Nutrition Coach (www.dougbopst.com), motivator and a published author. However, that wasn’t the case in 2008. In October 2008, before Doug turned to fitness he was an inmate in the Harford County Detention Center on a 90-day sentence for a felony drug charge. He was 21 years old with a daily OxyContin habit. He smoked 2 packs of cigarettes a day. And he had hit a physical and emotional bottom. 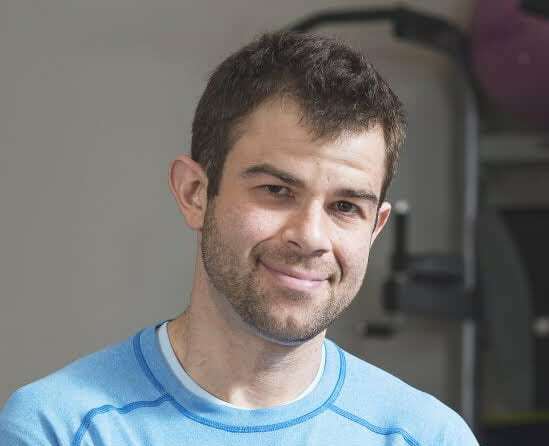 Motivated to change his life and motivated by his cellmate who offered him encouragement and coaching in order to get in shape, Doug began the journey that would ultimately save his life. He began exercising while in jail and then continued his course upon release, first hiring a personal trainer and then becoming a trainer himself. He has since made a career of his passion. Doug’s passion and drive are infectious, which was why he was such a great addition to the team here at Maryland Addiction Recovery Center. MARC believes in a holistic approach to treating addiction; an approach that incorporates mind, body and spirit. Numerous studies have demonstrated the benefits of exercise and fitness for someone who is getting clean and sober from drugs and alcohol. Not just the physical wellness piece but also the discipline and the abilities to set and achieve goals. Because of these benefits, it was crucial to implement a fitness regime and a wellness routine for the patients at Maryland Addiction Recovery Center. At MARC, Doug puts the patients through a total body workout that is suited and accommodating for all fitness levels and all stages of recovery. The patients are trained during a 50 minute workout followed by a 10 minute cool down period and ending with a motivational speech. Doug’s talks are generally geared towards recovery, positivity, learning how to have hope and faith and encouraging them all to give life their best every single day. Doug being in recovery allows for an important identification and connectivity that takes place between him and the MARC patients. Being clean and sober is not about just not using drugs or alcohol. Recovery is much more than being clean and sober. It is about developing a new outlook on life, developing a healthier lifestyle and creating a life where one can be happy and content while sober. Exercise and fitness are a big part of that change into living a healthier, happier lifestyle.